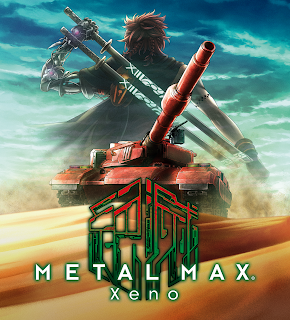 There is something unique about METAL MAX Xeno that took me some time to put a finger on. The setting - a grim future where the only chance a human has to survive against the monsters roaming about is a tank, is certainly unique. The visuals and gameplay feel like something that would have been right at home a console generation or two back. Yet there is something special here that makes this title more than the sum of its parts, and makes it a candidate for my most surprisingly good game of 2018. At first glance, it feels like METAL MAX Xeno probably should not work. The visuals are odd - reminding me a bit of a previously published NIS America game way back in 2013 called Time and Eternity, which was released on PlayStation 3. 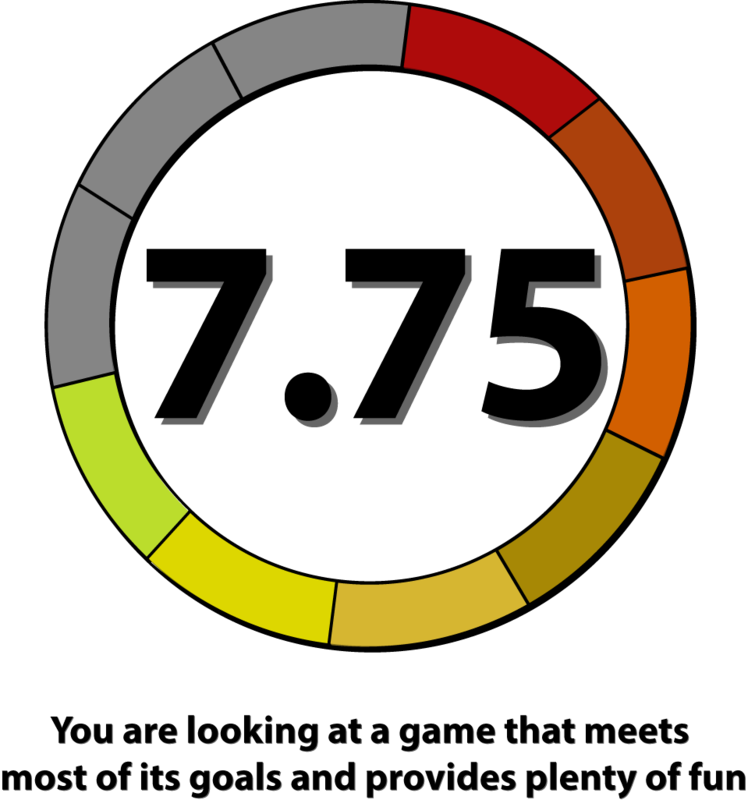 That was a bit of an odd game that had some interesting ideas that never quite made it a good game (though I still played it enough to write a how-to guide to getting a platinum trophy for it). Conversely, METAL MAX Xeno does not seem like it should work as well as it does, and the visuals are one example. The style is fantastic, with great use of colors, nice details and just an overall pleasant aesthetic. That being said, they seem out of place against the often simple backgrounds, have almost no movement to speak of and it is clear that this was a title that was designed with the Vita's hardware in mind. The environments do not hold up quite as well as the characters. Granted, this is a dystopian future where things are meant to be bleak-looking, so to that end the aesthetic is acceptable. METAL MAX Xeno initially sees Talis in an old ruin, and white it is appropriately dingy and dark, there is not a lot of detail to be had. When on the surface, spanning deserts vaguely remind of the phonetically similar Mad Max movies where the environment stretches on without a great deal of visual variety. It is clear that METAL MAX Xeno was made on a budget, but the overall character designs are good enough and the setting intentionally desolate enough that it works. The storyline is a fairly simple one, where an AI force has the upper hand against humanity, which is almost entirely extinct by this time. Our protagonist (named Talis by default, but you can rename him) is a bit of a drag through most of the game's narrative. He is an angry, yelling sort who has reason to hate the mechanical monsters he has sworn to kill. From a gameplay standpoint, Talis is a capable fighter with a mechanical arm that gives him the ability to survive where most humans would fail (a point that is drilled home repeatedly in the game's opening). Even Talis however, clearly has his limits and is in need of a tank to hold his own against the creatures out there. Talis is clearly the game's most capable character, if not the most interesting. Thankfully the other members of the cast are more enjoyable, even if most of them are relatively thinly portrayed. In the early narrative, Talis happens upon a location called the Iron Base. This has become one of the lone remaining locations where humans still survive. This location is also important because there is a resource component baked into the gameplay that reminds me of the old GameBoy Final Fantasy titles where you can only attack so many times before you 'use up' your supplies. The same happens here, where Talis' tank only has so many shells it can fire off. 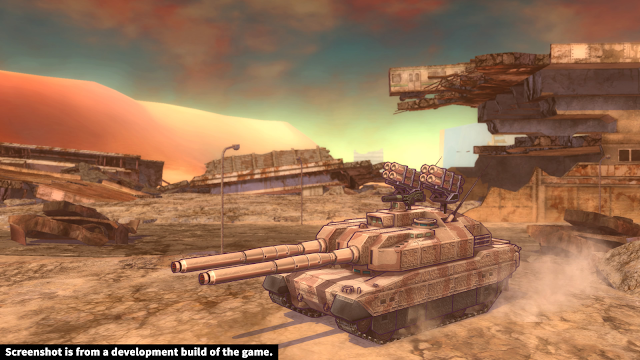 These shells are because of the two ways combat is carried out on METAL MAX Xeno. The first and most common is the sort of 'overworld' travel in tanks. You can see enemies pop into the environment, to be avoided or perhaps to battle. You can shoot at them from a distance to engage or perhaps just defeat them outright. That latter bit certainly helps with the pacing and makes exploration a bit more entertaining, though if they do engage with your tanks, you then slip into a traditional turn-based JRPG combat experience. However, you need ammo to pull all of this off, which creates a bit of a busy gameplay loop in the early going where venturing too far from the Iron Base is a risky proposition. 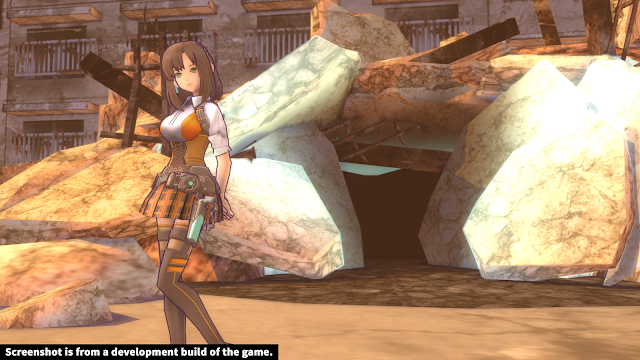 The other form of combat is what you get introduced to in the game's opening. This is when you are on foot, moving around ruins and engaging in similar turn-based combat, but with smaller scale enemies that don't necessarily require tanks to beat. These are random encounters, not the more intention ones found using tanks, but the same basic style of gameplay occurs during combat. Unfortunately these segments are generally even more drab than the outdoor environments. At least those are open, bright and colorful. The ruins just have an overwhelming sameness to them throughout, which when mixed with the slow movement and random encounters makes them a bit of a slog at times. Thankfully the above world combat is much more fluid and interesting, and the numerous fast travel locations are a big help as well. While the above points generally make METAL MAX Xeno seem like a mostly average JRPG experience, there is a lot to be said about the customization options in the game. This occurs on a few different layers. One is the tank side of things, because these are handled on a completely parts-based nature. 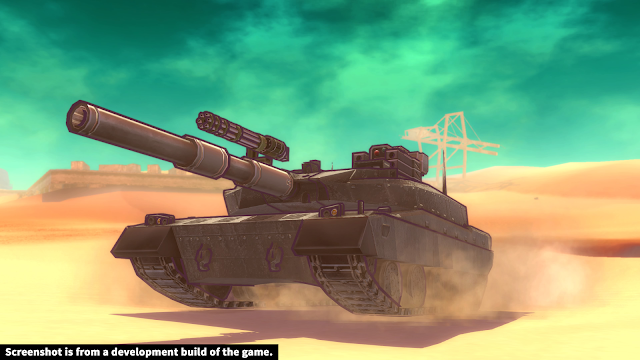 The tanks don't level up at all (which makes perfect sense to me, if anything I would expect they would get run-down, not improve through use), but they have their own progression system in place through upgrading their parts. The improved weaponry and parts are vital for surviving some of the tough encounters that occur while exploring. There are some slightly over-level enemies that will simply shred your shields if you are not properly equipped, but instead of grinding for experience to gain levels and hitpoints, you instead find the parts to configure your weapon power, range, ammo and more. Conversely, characters themselves do have a half dozen classes to choose from, experience to earn, new skills to acquire and more. 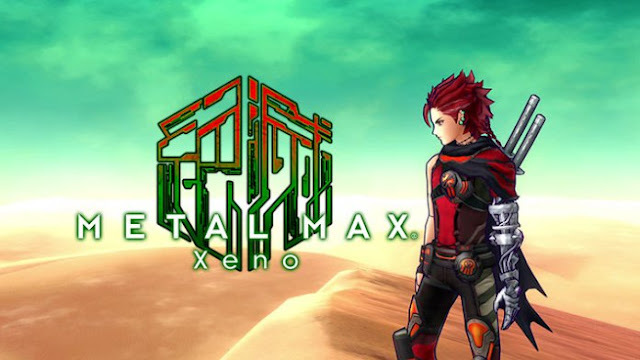 That there are two distinct types of progressions baked into the game's systems really gives METAL MAX Xeno a unique feeling that I enjoyed throughout my time playing it. Now, for better or for worse, this is a title that can be a bit linear. Given that the on-foot travel was probably my least favorite aspect of the gameplay, I am actually rather grateful that there was minimal backtracking and exploration involved. The overworld sections are not quite as linear as the ruins, but the game keeps you on a somewhat straightforward path throughout, and reaching the end of the game in under two dozen hours is certainly not out of the question. For those who want to try out the New Game+ option, it is here and there are a handful of items updated on the second go-through, but it is basically the same experience. 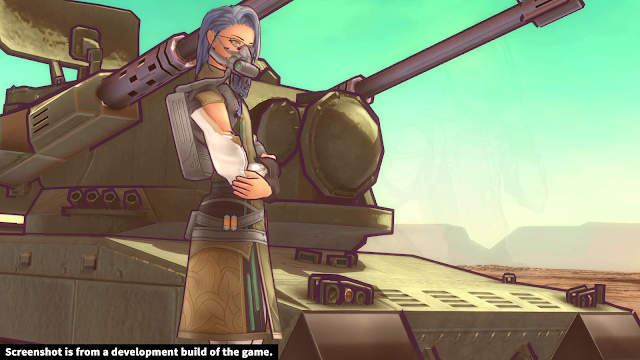 There have been some pretty big-named RPGs of late between games like Valkyria Chronicles 4, Dragon Warrior and even the re-release of Disgaea 1 this fall, which unfortunately overshadows METAL MAX Xeno quite a bit. That being said, there is something incredibly charming about this underdog title, with its complex progression systems, dystopian setting and colorful characters that should appeal to JRPG fans looking for something a bit different.